- This Tempered Glass Screen Protector only fits for Echo Show. 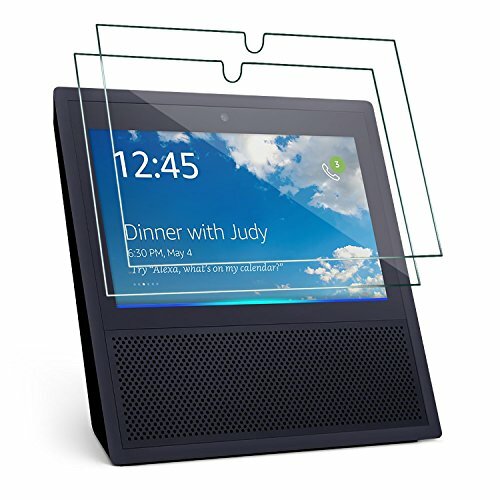 - Effectively protect your Echo Show from fingerprints, unwanted blemishes and scratches by knife, keys and some other hard substances. - High transparency, ultra thin 0.3mm, durable and dust repelling premium tempered glass screen protector provides super smooth touching. - Easy on easy off: Made from the Highest Quality 9H Hardness Tempered Glass with 100% Bubble Free Adhesives for easy installation and no residue when removed. - Mosiso 1 year warranty on every screen protector.